When it comes to a dental visit, parents are often more nervous than their children. Therefore, we encourage parents to bring their children when they have a cleaning. This allows the child to explore the office, meet the staff, and even play with some Legos in the kids’ area. More often than not, this makes for a stress-free initial visit for both the child and the parents. 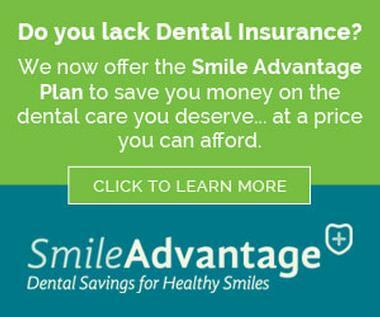 What happens when a cavity is detected at that initial visit or a subsequent exam? Regardless of a child’s age a filling or other restorative procedure can be a little scary the first time. When seeing a child for the first time, I follow five simple steps to ensure that they have a positive experience. I always speak directly with the child; I never communicate through mom or dad. I need to establish a connection in order to build trust. Unlike most offices, I do allow parents to accompany their children. I find most children are more comfortable when a parent is with them during their initial visit. I am always honest. When a procedure is simple, I tell them. If at one point they are going to have some discomfort, I will also let them know. If you lie to a child once, they will never trust you again. I show them everything. Every instrument that we use has a name a child can relate to. Fear of the dentist is more often fear of the unknown. When you allow a child to hold the instruments and explain what they do in words they can understand, it eliminates that fear. I keep talking. When I am treating children, we never stop talking; school, sports, toys, video games. Whatever it takes to keep them focused on me. Anesthetic. I prefer to use Nitrous Oxide (Happy Gas) rather than local anesthetic whenever possible. Nitrous Oxide has the distinct advantage of being quickly reversible. This means that I do not need to worry about a child biting their cheek, lip or tongue while they are numb. Some procedures, such as the removal of a tooth, require the use of local anesthetic. When indicated, we always use a topical gel first. We then deliver the anesthetic in small increments to minimize any discomfort. In fact, many children cannot believe they actually received a shot. We use composite, tooth-colored fillings, when restoring children’s teeth. In addition to looking more natural, composite has distinct advantages over the traditional silver fillings. Composite is a stronger material, which allows the dentist to be less invasive when placing a filling. It is also bonded to the tooth and immediately hardened with a UV light. This makes the filling more resistant to fracture, both immediately and long term. Honestly, the last thing that parents usually consider when choosing a dentist for their children is their background in cosmetic dentistry. Unfortunately, a significant amount of children’s dentistry involves the adult teeth and is often the result of trauma. Far too often, we find ourselves in the office on a Saturday afternoon with a child, like the one above, who has fallen off their bike or been hit by a pitch. When a child comes home with a broken front tooth, a parent has two priorities; eliminate the pain and make the tooth look like it did originally. 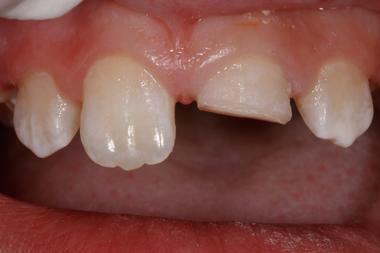 Restoring an adult tooth on a child presents distinct challenges. 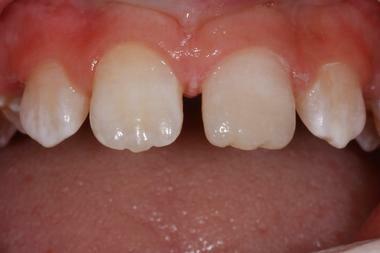 The teeth are often still coming in and adjacent teeth may not be present. Treatment options normally used with adults are not practical for a child who is still growing. Dental composites can be used to create beautiful restorations, but only if the dentist takes the time to recreate the subtle textures and colors that are present on the natural teeth. Additional photos of completed pediatric cases can be viewed in our Smile Gallery.